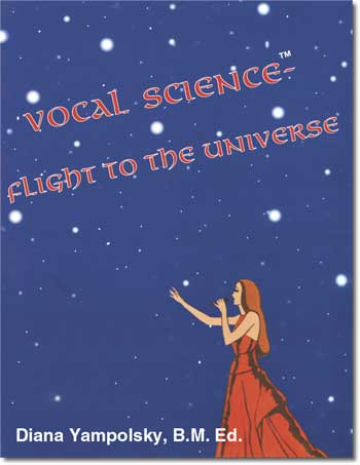 Vocal Science is a holistic approach that specializes in accelerated vocal development. It allows speakers and singers to improve vocal clarity, projection, and pitch while learning how to sing and or speak in a way that protects their vocal anatomy for life. Do you find your voice feels sore after a performance or a long day at work? Are you worried you might be losing your voice? Already lost it? Considering surgery? STOP!!! WE CAN HELP! The Total Communicator program takes on a revolutionary approach to voice mechanics, significantly improving verbal communication. We specialize in speech therapy, treatment of vocal disorders and speech impediments. Vocal Science Exploratory Group Sessions (Vocal Interactive Workshops) for all speakers and singers and for those with voice issues. * The Vocal Science™ method advocates the safe use and protection of the speaking and singing voice for a Lifetime! 32 hours (to date) of vocal instruction under Diana Yampolsky’s guidance. Competitive Dancer from Bradford, Ontario. Mobile version of this website is under maintenance. To see more videos, please turn your phone to the horizontal position. - You can also visit our Before & After page by clicking HERE.